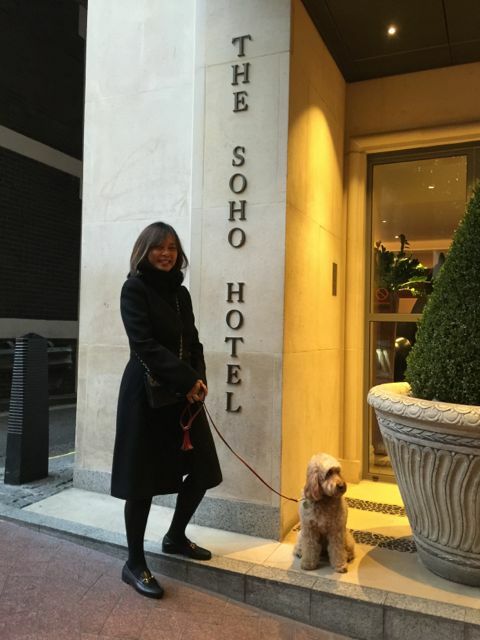 We were out for an evening in Soho – not an area we go to often, and definitely not in the evenings. I was definitely a lone dog out in the jungle of humans revelling on a Friday night. 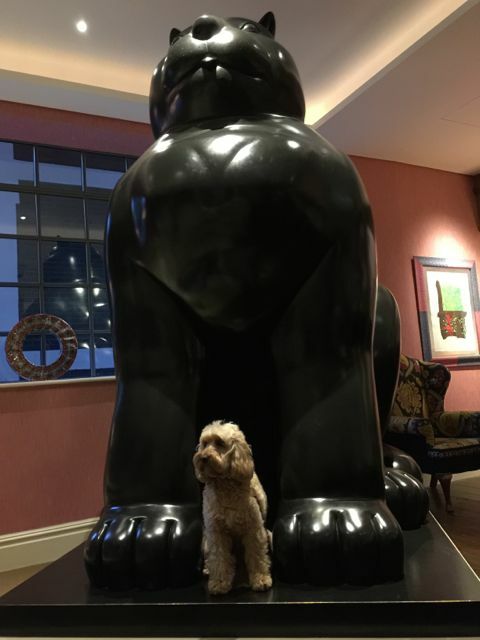 We went to meet Mummy’s friend, Eric at The Soho Hotel – It’s a funky hotel with interesting art works. 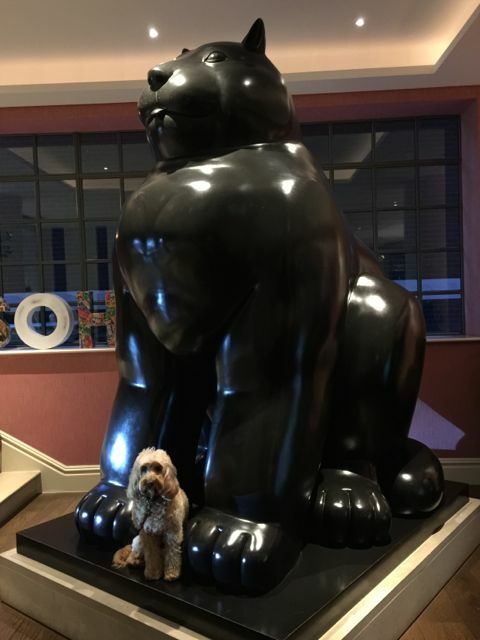 Like this very large Bottero cat! I felt totally dwarfed. We were just in the reception area waiting for Eric when the staff offered me some water. 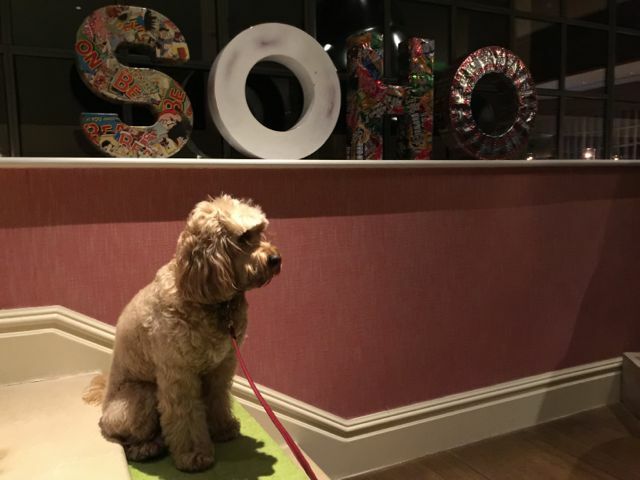 May’s comment: The Soho Hotel is part of the Firmdale Hotels – they are dog-friendly except you cannot leave your dogs in the rooms alone and no dogs at restaurants. 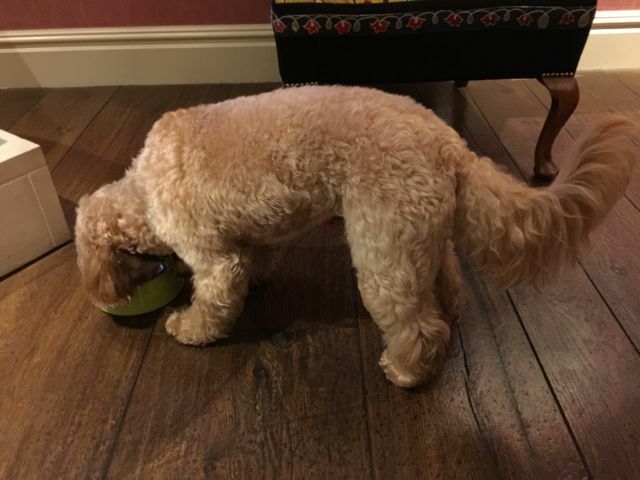 It is unclear if the other Firmdale Hotels are dog-friendly – apparently it is due to the discretion of the General Manager. 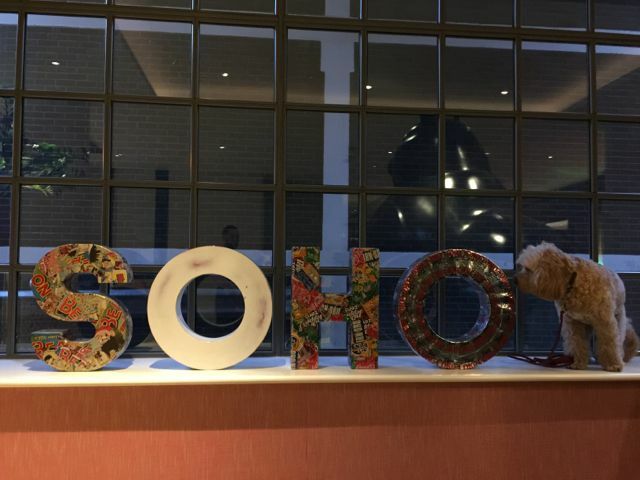 So far Soho House is thumbs up! ← At Prada, I can do no wrong!